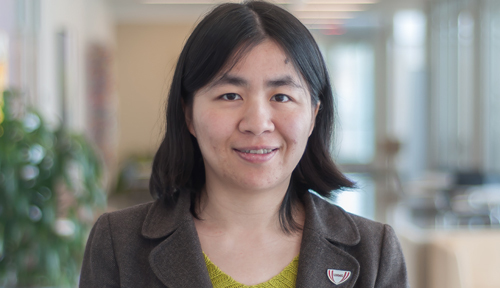 Meet Distinguished Scientist Fang Yu, Ph.D. This profile is part of a series to highlight the 16 researchers and one community member who will be honored at an April 21 ceremony. The recipients include the 2013 Scientist Laureate, six New Investigators, eight Distinguished Scientists, two Research Leadership awardees, and a Community Service to Research honoree. My primary research is to apply appropriate statistical methods to medical research studies. I work with campus researchers on the design and analysis of research studies, including both laboratory-based and community-based studies. My statistical methodology work is developing Bayesian methods for modeling high-throughput genetic and proteomic expression data. How does your research contribute to science and/or health care? The studies I am engaged in range from prevention and treatment of rheumatoid arthritis and pancreatic cancer to HIV/AIDS and will provide important knowledge on improving the health and well-being for patients with these diseases. Love what you do and life will love you. I am a proud mom of a 2-year-old girl.